Proven Email Strategies that, Build your Audience, Increase Engagement and Grow your Income. 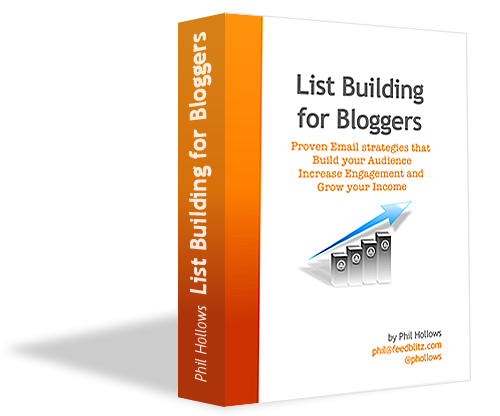 List Building for Bloggers is for you, the blogger and accidental email marketer. The entrepreneur. The Mom blogging to help support her family. The virtual assistant; the PR professional wanting to make a difference for his clients. With List Building for Bloggers, you can quickly and easily raise the value of your list with very little effort. You will learn how to make the most of what you’ve already built. After that, List Building for Bloggers will teach you how to work with your blog’s list so it can fulfill its true potential for you. You see, unlike most email marketing books, List Building for Bloggers isn’t targeted at the corporate sector, nor at professional marketers, nor is it for IT geeks looking for a manual. It isn’t magic. Most steps take no more than a few minutes to get working. But the rewards will last the lifetime of your blog.